Creative Diesel understands the importance of displaying a website that is simple to navigate while having the flexibility to suit your individual needs. 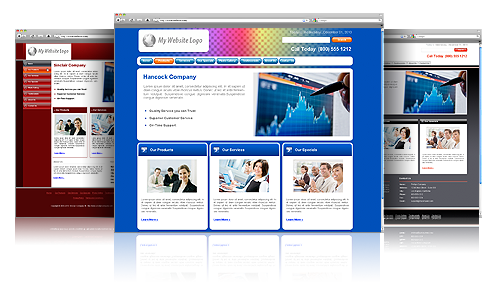 Our Website Templates are 100% fully editable. Change site images and background color to with ease. We offer six brilliant colors to choose from! Each Website layout we offer includes a Free Joomla!® Content Management System (CMS). The Joomla!® empowers you with the ability to make webpage changes all on your own. Simply login into your free Joomla!® CMS panel and make your changes. No need to hire a computer programmer or learn overly complex computer languages. Joomla!® is Free Software released under the GNU/GPL License. Joomla!® is the trademark of Open Source Matters, Inc. in the United States and other countries.